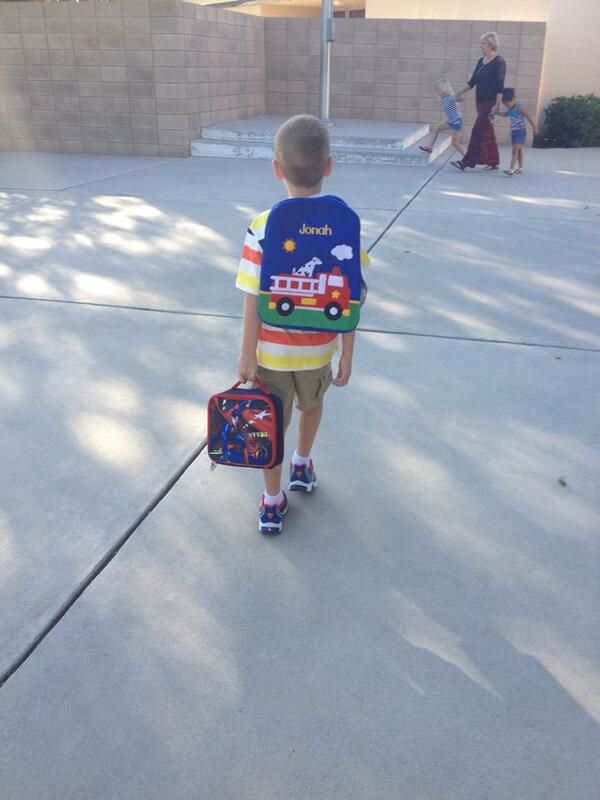 Jonah started kindergarten last week and I can’t tell you how full my heart is each morning walking him to his class. Jonah’s school is right next to our church building and so each morning we park at the building and walk about a block to where his classroom is. I have made it my mission that each morning during that walk our conversation is intentionally given as a blessing to him. This boy is going to know he is loved…he is going to know that no matter what happens during that he is surrounded by loving, supportive parents who are determined to bless him and envision a bright future for him…not just years down the road but from this very moment until the last one we have together. One of the most important things about speaking words of blessing is that it is more about God than anyone or anything else. It is an assurance that God is over all things and working through things and in things for the very best. So what we are really talking about is not just about his day or about what he can expect to happen or not to happen or what to do if he needs something…we are really talking about God and God’s love for him and what that means in his real, every day, kindergarten life. Honestly, I think this boy is blessing me more than I even know how to bless him and I thank God for that.